Getting rid of unwanted hair has never been easier or more effective. Wilmington Plastic Surgery's lasers can permanently get rid of hair follicles, leaving your skin smooth and eliminating the need for shaving and/or waxing. Lasers not only aid in reducing or stopping hair growth, they can often control or eliminate folliculitis (the inflammation and infection of hair follicles), a condition that causes unsightly redness, bumps and can sometimes result in scarring. Treatment areas for effective laser hair removal include: bikini area, face, arms/underarms, legs, back, chest and abdomen. It's important to remember that lasers are medical devices, requiring a high level of expertise to be used safely and effectively. Be sure that the person treating you is properly trained and experienced, and that the equipment is well maintained and not outdated.  You can have confidence that Wilmington Plastic Surgery's highly trained laser technicians have the experience and expertise to do the job safely and effectively. GO WITH THE EXPERTS IN LASER HAIR REMOVAL: WILMINGTON PLASTIC SURGERY'S SKIN CARE MEDSPA.